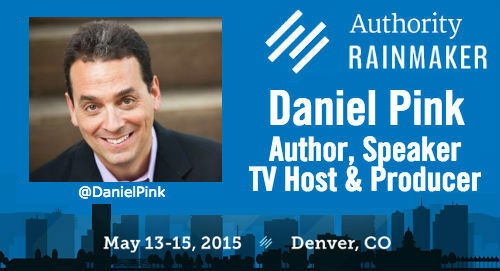 Creating authority and winning at business are things Daniel Pink knows a lot about. 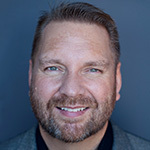 As a TV show host and c0-producer, popular public speaker and bestselling author of 5 books including To Sell is Human, he’s the opening keynote at the Authority Rainmaker conference in Denver May 13-15. As a preview to his presentation, Dan was kind enough to do an interview with us where he talks about building authority, motivation to achieve success, that one “most important skill”, his own influences and what he really thinks of Facebook, Twitter and social networks that are “too cool”. You are widely considered to be an authority on many topics, such as sales, marketing and motivation. What do you think are the most important things you’ve done that have contributed to that perception? Thanks for the kind words. Alas, answering this question requires a level of introspection well above my pay grade. But if I had to venture an answer, I’d say that I’ve always tried to produce books (and other work) that is both (a) deeply researched and (b) simple and clear. That takes a lot of work. But when I get it right, it allows readers to trust what I’m saying and understand it in a way they can apply to their lives. You have spoken and written extensively on the topic of motivation and what drives people to perform at their highest levels. As a high performer yourself, what motivates you to be your best? My home address is in Washington, DC, but I actually live in a state of perpetual dissatisfaction. After every project I finish — a book, an article, a TV episode, a podcast — I immediately think of ways I could have made it better. That irritation often motivates me to try to make the next outing a little better. In your book To Sell is Human: The Surprising Truth About Moving Others, you mention that there are three skills necessary for effectively persuading, influencing and moving others. What is one of the necessary skills and why does it work? Attunement — the ability to see things from someone else’s point of view. In a world where we have almost no coercive power, we need to be able to take another’s perspective and find common ground if we’re going move others. It still astonishes how poorly developed this skill is in otherwise capable people. Many influential people who are considered subject matter authorities also have lesser-known and often surprising skills or areas of expertise. An example is Steve Buscemi, who prior to his acting career was a career firefighter and even volunteered to help in the aftermath of the 9/11 attacks (largely anonymously). What is one interesting skill or area of expertise you have that is not well known? The more surprising the better! Alas, I’m no Steve Buscemi. My nonprofessional skills are even more meager than my professional ones. If a small business owner or entrepreneur won a few minutes of your consulting time, what fundamental marketing advice would you give them? First, I’d console them for obviously not winning first prize. Second, I’d emphasize that marketing is a conversation, not an attempt to hoodwink. If you provide knowledge, information, and other sorts of value that help people or organizations improve their condition, you’ve done a spectacular job of marketing. On the more pointed issue of sales, I think we’re at a moment analogous to the one that gave rise to “servant leadership.” Today we’re in the era of “servant selling” — where it’s vital to serve before you even try to sell. As I writer, I admire many other writers — too many to list here. But in the world of non-fiction, one stands above all: Michael Lewis. It astonishes me how good this guy is — at finding stories, telling them in an entertaining way, and using them to illuminate larger truths. I’ll read anything he writes, even if it’s his weekly grocery list. Also, in the realm of business ideas, everyone who does what I get to do for a living stands on the shoulders of Tom Peters. He (and Bob Waterman) essentially created the modern business book, which was scarcely a category before he came along. Tom demonstrated — again, well before everyone else — that it was possible to write and talk about business, work, and management in a way that was accessible and actionable. Who is one person that isn’t well known now but you feel will (or should) be considered an authority in the future? Well, my selection is fairly well-known, but she should be even better known. I’m talking about Teresa Amabile at Harvard Business School. Her early work on creativity helped shape the way I think about that topic. And her latest work — on the motivational effects of making progress at work — is, in my view, the most important research on talent in the last 20 years. Facebook – If you’re not paying for the product, you are the product. LinkedIn – Something I should use more, but first I have to deal with those 5700 unanswered invitations. Twitter – Where my productive time goes to die. Google+ – That thing with video chats. Vine – Funny videos of people getting smacked in the face. Tumblr –­ Something too cool for me. Snapchat – Something too cool for me but not for my 12 year old son. YouTube – Where I go to learn how to carve a turkey, tie a bow tie, or pitch a knuckleball. Instagram – Another thing for which I’m insufficiently cool and on which my son spends too much time. Pinterest – Pictures of stuff I’m not interested in. MySpace – What the Ancient Romans used to publicize concerts. You can learn more about @DanielPink, his TV show Crowd Control on the National Geographic Channel, his speaking schedule, Office Hours podcast and his 5 books including To Sell is Human: The Surprising Truth About Moving Others here. 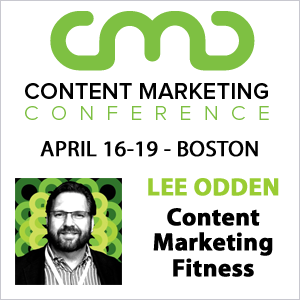 The Authority Rainmaker conference in Denver May 13-15 features an incredible lineup of authoritative marketers and business leaders presenting on how to integrate content, search and social media marketing. Plus there are even more speakers with deep integrated marketing expertise that you can learn more about on the Authority Rainmaker website. Awesome Interview, Well sustained answers by Dainel. I loved all the answers especially, Daniel play with #social network word association. That’s superb cool 🙂 . I’ve one question your Book “To sell is Human” .. what came in to your mind to write this book ?